Technology has changed the way we live and work. We cannot imagine a life without computers, Internet or phones, today. When one thinks of technology, the first name that strikes us is that of Microsoft founder Bill Gates, says a magazine, ExecDigital, which ranks Gates as one of the world's 5 most influential geeks. Image: Microsoft founder Bill Gates. 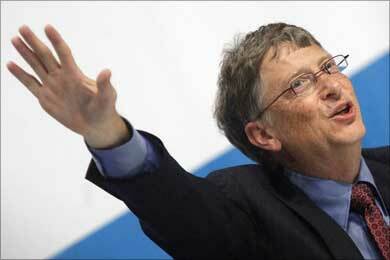 Microsoft founder Bill Gates is among the rulers of the tech-world says ExecDigital. 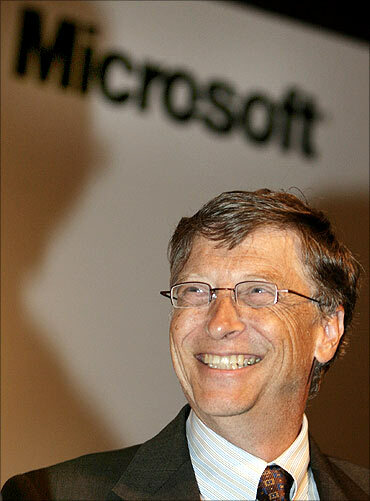 Gates, the second richest man in the world with a net worth of $53 billion, founded Microsoft in 1975, which has become an integral part of almost every home today. "When Microsoft launched Windows in 1985, it sparked the beginning of a technology revolution that continues to evolve to this day. There isn't a home, office or business that doesn't have some kind of Microsoft component in it," the report said. With the evolution of Windows in at least a dozen different ways, PC users continue to rely on Gates for the operating system that their computer runs on, whether it's Windows 7, Vista or XP. It is also believed that Windows 8, which is being developed, will take the Microsoft's stock to new heights, ExecDigital said. Gates took interest in computer programming since he was 13 years old. After dropping out of Harvard in 1975, he co-founded Microsoft. One of the chief architects of the personal computing revolution, he is a great philanthropist donating billions of dollars to charity. Even Steve Jobs is no less than far more richer Gates when it comes to technology. 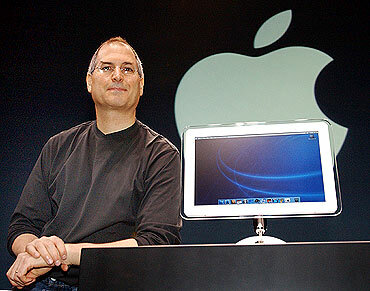 If you own a Macintosh computer, iPhone, iPod or iPad, feel free to thank Jobs, says ExecDigital. Steve Jobs dropped out of Reed College after one semester and went to work on designing games. Later, he teamed up with Steve Wozniak, an engineer to start a business. He, along with his partner Steve Wozniak started Apple in 1976 and introduced people to the Apple I, II, Power Mac and Macintosh computer. At the age of 20, Jobs and Wozniak started working on the Apple I prototype. Apple Inc today designs and markets consumer electronics, computer software, and personal computers. The credit of changing our lives and the entire world with the latest technologies also goes to the software major Oracle Corp CEO Larry Ellison, the report added. Cheering the technocrats, the magazine noted, "Their technology drives our lives and our businesses. These super execs have changed the world and continue to do so." 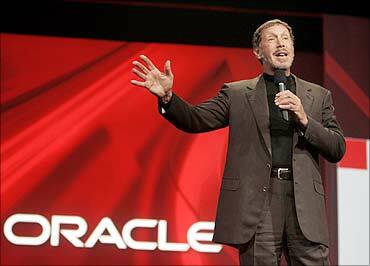 Larry Ellison left the University of Illinois at the end of his second year, after his mother died. He later studied computer designing and moved to California. After doing several jobs for eight years, in 1977, Ellison and his Ampex colleagues, Robert Miner and Ed Oates, founded Software Development Labs, with $2,000. The company was later renamed Oracle Corporation. Oracle is today the world's second largest software company. Ellison of Oracle with a net worth of $27 billion, also made his mark in the industry by becoming a pioneer in the database systems, states ExecDigital. 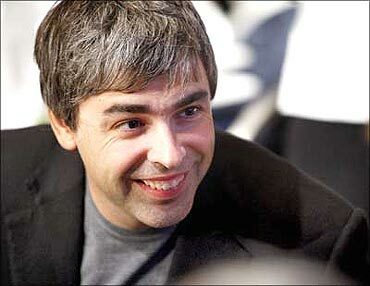 Larry Page, co-founder of Internet search titan Google is also ranked as one of the most influential geeks. Page has the honour of being a co-founder of the world's top most search engine Google, without which "it is almost impossible for a computer user to go one day for one reason or another". Founded in 1998 by Stanford students, Larry Page and Sergey Brin, Google today runs over one million servers in data centers around the world, and processes over one billion search requests every day. Page and Brin named the search engine they built 'Google', a play on the word 'googol', the mathematical term for 1 followed by 100 zeros. What began as a garage start-up, Google has seen an impressive growth in these 12 years with profit to the tune of $6.520 billion and total assets of $40.497 billion. Telecom czar Carlos Slim Helu also finds a place in this list. 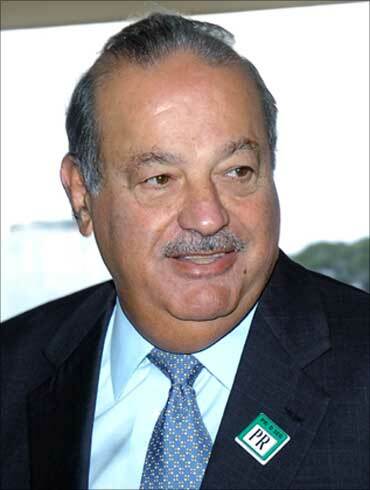 His telecom empire in Mexico owns 90 percent of the telephone lines in Mexico operated by Telmex. Telcel, the mobile company Slim controls and operates 80 per cent of the country's cell phones. The world richest man with a net worth of $60.6 billion, has also been ranked among 'Forbes World's Most Powerful People'. IMAGES: What do Indians search for on the Web? IMAGES: Rs 5.6-lakh Nissan Micra diesel is here!